For our next event, Cardiff Rivers Group will be spreading our wings and branching out to the Sirhowy valley. 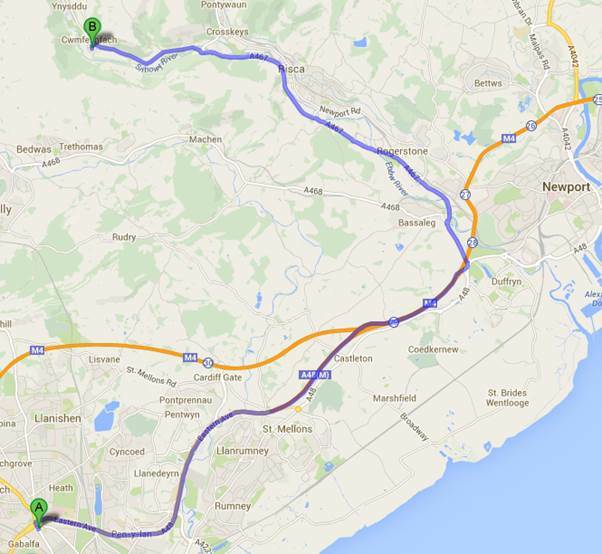 It’s around 19 miles north-east from Cardiff centre and the journey takes about 30 minutes from Gabalfa interchange. This is a valley of natural area of beauty, which will benefit from some Cardiff Rivers Group TLC. As it’s relatively far from Cardiff, we need to be smarter and arrange lifts for the keen volunteers that haven’t got transport readily available. We will be working both ways from Pont Lawrence-Rees (bridge) and we’ll see how far we can go in 3 hours. There are many paths and cycle tracks in the Sirhowy valley, most of which are fairly clean state. This means that the litter pickers will be able to enjoy the walk through the valley picking up any litter found along the way in order to make the area immaculate. In the river, as it hasn’t been done before, a busy time is expected and will need support from the banks in order to gather the rubbish into a collectable state. For those who can’t manage 3 hours, just come for as long as you’re able. After the event, for those that want to, we’ll have a picnic/barbeque next to the river before the journey home. 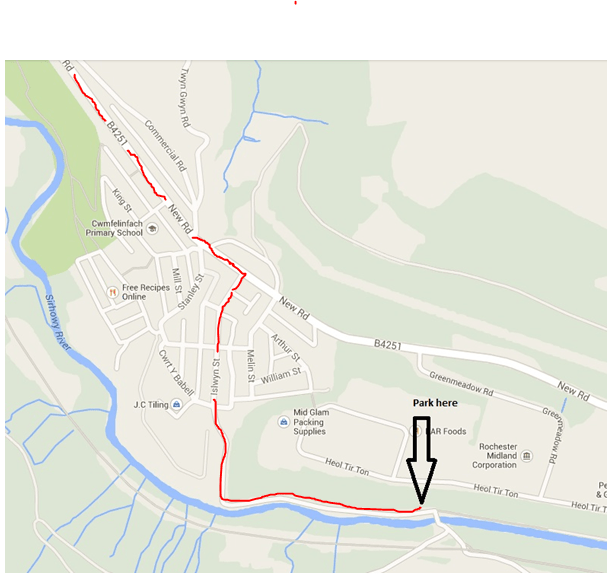 Meet 10:15 am at Pont Lawrence-Rees, Cwmfelinfach directions are below, look out for the truck with the CRG logo. As usual, all tools and equipment will be provided. Please check the weather forecast and if appropriate, bring waterproof clothing in case of wet weather. If you fancy a picnic of barbeque, bring what you need. I suggest a disposable barbeque and cook just for yourself to avoid any “no win-no fee” food poisoning claims and also a beer! Please let us know if you can make it so we can gauge the numbers and arrange lifts. Hopefully, you’ll be so impressed with the area that you’ll want to come back with your friends and family. So come with us and ‘Make a difference!’. Head east towards Newport on the M4 to Junction 28 (Tredegar Park). Take the 1st exit and follow the A467 for 6.1 miles passing Rogerstone and Risca. Pass through Wattsville, Brynawel to Cwmfelinfach. Watch out for a huge Ups-a-daisy nursery advertisement. Turn the left before railings and the Ups-a-daisy nursery advertisement into Islwyn Street. The sign is on the left hand side of the road so not visible on the approach. You will pass a social club on your left 50 yards down the road called the Forestier and Walkers. Follow the road until you come to an even skinnier road, the Babell Chapel will be on your left. Go straight across and ignore the other skinny road on the right to the allotments. Follow the single track road for 0.6 miles to the Pont Lawrence-Rees bridge and park as near as you can to it.